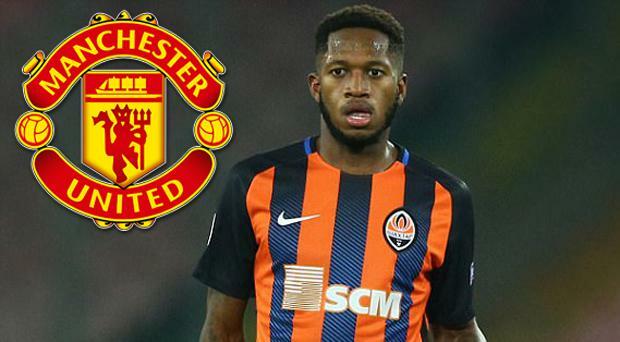 When Fred finally gets to meet up with the Manchester United squad after the World Cup, many of his new teammates might make the easy mistake that those from Shakhtar Donetsk did when he first arrived in Ukraine in 2013 – that he’s quite small, that he might be easy to knock off the ball. It is an easy mistake given that slight five-foot-six-inch frame – but could lead to a few difficult moments in training. As former Shakhtar assistant Miguel Cardoso tells The Independent, Fred has “balls of steel”. The 25-year-old will likely add more than steel to United, though. Fred will also add that high-grade oil, to make them a much slicker, free-moving side. That is another of his strengths – and he has many of those that Jose Mourinho most specifically wants this summer. The United boss has been primarily concerned with bolstering his midfield in this window, and particularly wants a player to create a more fluid link between Nemanja Matic and Paul Pogba. That necessitates fine positional sense, strong tackling and quick passing, all under Mourinho’s wider demand that any new players signed be “warriors”, who follow his tactical instructions like soldiers. Cardoso, however, feels Fred is “perfect” for this. “He is perfect, perfect,” the Portuguese coach enthuses, having worked at Shakhtar for Fred’s first four years there before moving on to become the much-admired coach of Rio Ave. “If Fred needs to fight, he’ll fight. When he needs to play, he plays. He’s very brave, very brave. “He’s a player with great ambition, that doesn’t have a fear of playing in any situation, any context. He is the type of player that, when things are going badly, you can give the ball to him. He has balls of steel - to use the expression. He has such a strong nerve. “His technical capacity is enormous. And in challenges, as I say, even though he’s small, he’s strong. But the real positive to him being small is that he doesn’t have a problem playing in tight spaces, and coming out with the ball to drive play. “He’s also excellent box to box, has that energy, and is so good tactically. He has a deep understanding. When Paolo [Fonseca] arrived at Shakhtar, he liked him a lot. “So, whatever Jose will ask of him, he will try to do it well. He’s also decisive, that I think Mourinho will like. He plays for the team. If he has to do something on the pitch, he’ll do it. If they ask him to make that connection between Matic and Pogba, I’m sure he’ll do it well. There’s also the wider issue of how he takes to the Premier League and the pressures of a club like United, but Cardoso doesn’t foresee that being any kind of complication. “In Ukraine, they play in bad conditions, with the snow, with very bad pitches, but his technical quality meant he was even more effective. Given that Mourinho has expressed frustrations with some of the trappings of the modern professional – with a few veiled criticisms of Pogba in that regard – this is another area where Fred could be “perfect” for his new boss. “He knows very well what it means to be a professional,” Cardoso explains. “First of all, they’re going to get a lad who is a great man, lovely to be around. He has a way about him that everyone will love. He’s not only humble, he’s always very happy, very relaxed. Everyone will like him. He’s a boy who’s not going to create a single problem. “Fred is a family guy. He has his girlfriend. You don’t see him out much, he’s a lovely guy. Very relaxed life. It seems he has all the qualities required to make United - and Pogba - better.